Tick removal is one summertime task that no one volunteers for. But if you or your pets roam about in the outdoors during warm weather, it’s possible you may be elected for the task. Ticks are not limited to the woods. Oh no, they can be in your yard or other commonly used areas. And the ickiest part is that your cat could very well bring ticks in with him after playing outside, and after it’s fed on your cat, the tick may wind up falling off into your carpet, or worse, your bed! At that point, it is no longer just a cat health problem, it's a human one! 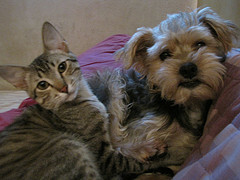 Cats as well as people can get Lyme disease and ticks are a major carrier. If yours are indoor-only cats, it’s unlikely that you will have a tick problem, need to do tick removal and, as a big bonus, your cats will likely live twice as long! However, if you have outdoor cats, you should check them thoroughly every time they come back home from outside to be sure they aren’t bringing ticks home to you. The more quickly tick removal happens, the less likely an infection will occur, so it’s important to take steps to prevent a tick infestation in your cats as well as monitor them to ensure they are staying tick-free. * Ticks surpass all of the arthropods in the number and variety of diseases which they transmit to domestic animals. Only mosquitoes transmit more diseases to humans. * Ticks are small arachnids. Although they’re commonly mistaken as insects, they only have 1 body part and 8 legs. 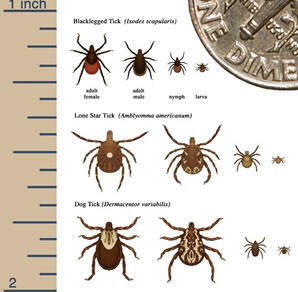 * Ticks are important vectors of a number of diseases, including Lyme disease. * Ticks are often found in tall grass and shrubs where they will wait to attach to a passing host by climbing to the tips of plants and attaching themselves as the animal brushes against them. * Physical contact is the only method of transportation for ticks; they do not jump or fly, although they may drop from their perches and fall onto a host. * Ticks possess a sensory apparatus called "Haller’s organ". This structure senses odor, heat, and humidity. This is how the ticks locate their food source. They climb upon tall grass and when they sense an animal is close by, they crawl on. * A tick’s diet consists solely of blood. Tick removal must include all of the mouth parts. * Ticks feed on rodents, rabbits, birds, deer, cats, dogs, reptiles and humans. * When feeding, ticks make a small hole in the skin and attach themselves with a modification of one of the mouthparts which has teeth that curve backwards, and insert barbed piercing mouthparts to remove blood. The saliva helps keep the blood flowing by keeping it from clotting while the tick is feeding. In many ticks, the saliva also acts like cement, helping to anchor the tick in place and making tick removal more difficult. * Most tick bites are harmless, but some ticks carry diseases that can spread to people, including Lyme disease. The primary vector of Lyme disease is the deer tick. * Ticks are also transmitters of a disease called tick paralysis. A toxin from the tick is transmitted to the victim while the tick is engorging. * Adult ticks have been known to live for as long as 200 days without eating. Tick removal is a nasty job, to be sure, but thankfully, it’s not nearly as difficult as it is disgusting! First off, here’s what not to do – Do not apply petroleum jelly, a hot match, or alcohol to the tick. This will NOT force the tick to detach from your cat. In fact, doing any of these things can cause the tick to deposit even more disease-carrying fluids. Unless your cat is very docile, it’s best to recruit a helper for this if possible. That way one of you can hold and pet your kitty, and the other can be doing the actual tick removal. Tick removal should go fairly quickly this way. Note: Although these directions are written about tick removal from cats, I myself have used these same methods in human and canine tick removal with equally satisfactory results. Position yourself in a brightly lit area and have everything assembled before you begin. A)	With tweezers, firmly grasp the tick by the head (or mouth parts if visible) as close to the skin as possible. Don’t hold or grab the tick by the body. 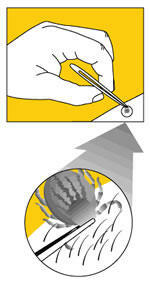 Use just enough pressure to grasp the tick and don’t squeeze too hard. At this point, squeezing the tick could cause more bacteria to be injected into your cat. B)	With a smooth, non jerky motion, pull firmly up and away from your cat’s skin. Be careful not to twist as you pull. This could break off the parts under your cat’s skin, making them hard to get. C)	After removing the tick, drop it into a jar or a Ziploc bag with rubbing alcohol. That way you know it’s dead. Flushing it down the toilet is not enough to kill it. You may want to keep it to show your vet, for identification and recommendations on how you may be able to protect your cat. D)	Clean the area where the tick was with rubbing alcohol and apply a bit of a (cat-safe) antibiotic ointment. If cat-safe is unavailable, just clean the area and monitor it. E)	Wash your hands thoroughly with antibacterial soap or alcohol hand cleaner/sanitizer. If you’ve decided to keep your grisly prize to show your vet, put it in a safe place undisturbed until you go to the vet. Never squish or even touch the tick with your fingers – touching it in any way can leave you susceptible to tick-borne diseases. Even the contents of a dead tick can transmit disease. Once the tick removal is complete, it wouldn’t be at all unusual for your cat to have a welt or reddening of the area. This is an allergic reaction to the tick’s saliva, etc. You can use a bit of cat-safe hydro cortisone cream on it for kitty’s comfort, but it should go away on its own in a few days, or a week at most. If it doesn’t improve within this time, then take your cat to the vet. Of course, the best way to not have to go through this again is to use tick and flea treatments (normally once a month types are fine). Frequent grooming is a good way to keep your cat free of any creepy crawlies, and the faster tick removal is done, the less chance of your cat contracting a disease or infection. The best prevention of all is of course, to keep your cat indoors and protect it from not only ticks, but also from the many other dangers outdoors as well. I hope this has been helpful, almost as much as I hope you will never need it. If you should have any questions, please feel free to send me a note via Meow Mail . I love hearing from you all. Here's wishing a fine and healthy summer to you and your cat! Be safe, Be happy, Live like a cat!